A mythical name that follows the same hospitality recipe for so long. A brand name equals to luxury and comfort. 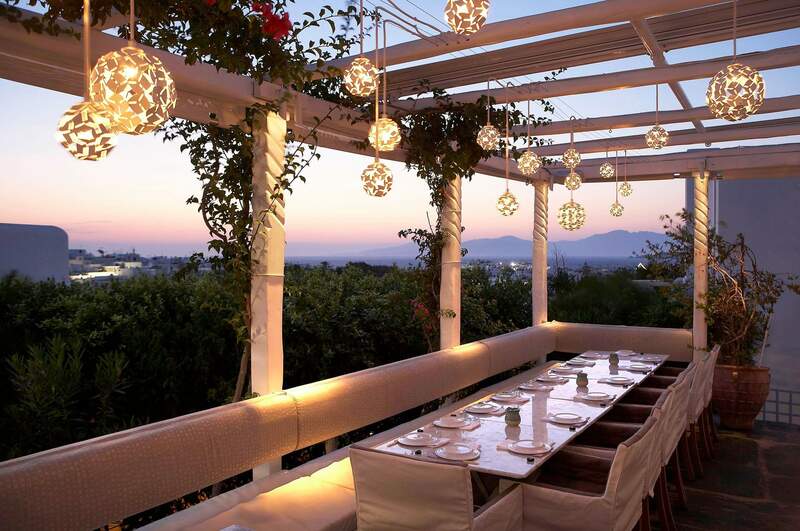 Belvedere Mykonos Hotel stands proudly in Mykonos Chora bounding its name for decades with the island’s fame. 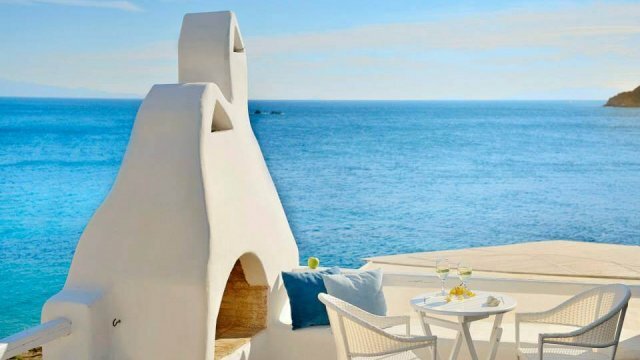 Every year with a new concept and always something innovative to demonstrate, Belvedere Mykonos Hotel is itself one of the reasons to visit the island. The best highly trained staff and the annually progressive suggestions as far as the hospitality is concerned to have established this distinctive hotel as one of the most visited places in Mykonos. You can easily avoid all the noisy activities taking place near you by entering the privacy of your own villa right at the edge of the cliff hearing nothing else besides the sound of the waves and the calming sea wind. 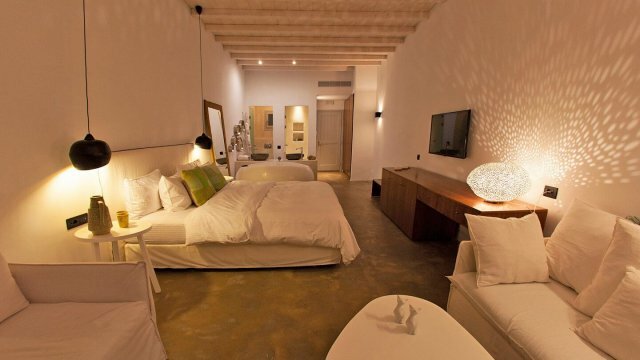 Tailor made services and a more than happy staff to help you through with all the options offered, you will have the vacation of your lifetime in a place with unique Cycladic architecture and style being surrounded by the Mykonian elite. After a long sunbath on the beach, visit the Six Senses Spa of the resort to rebalance your body and soul and rejuvenated and relaxed accept the invitation of one the most beloved restaurant in Greece of the famous chef Matsuhisa, Nobu. 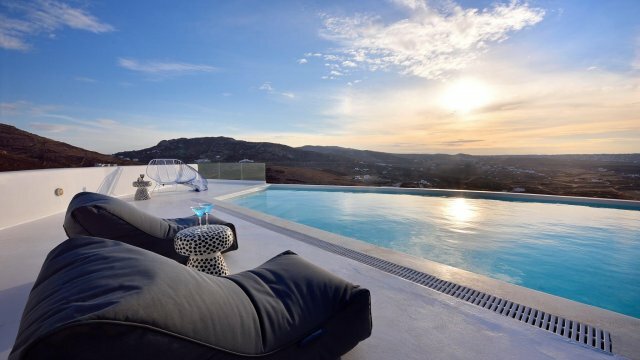 Belvedere Mykonos Hotel features calming, bright spaces bringing you one step closer to the Mykonian way of life and will absorb all of your senses to carry you away and empty your mind off any negative thought and hesitation. Live Mykonos on! 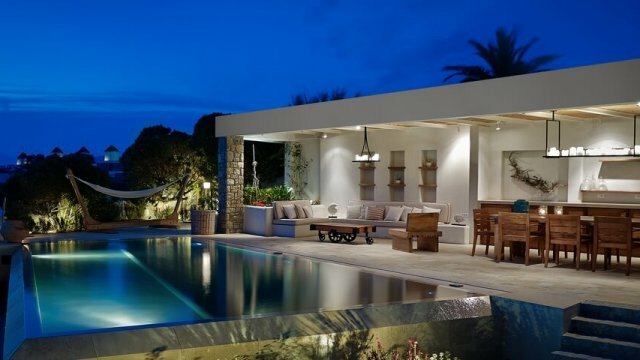 Mykonos Ark exclusive Villas is a unique complex of three enormous residences that exhale comfort and style into an environment of luxury and elegance. 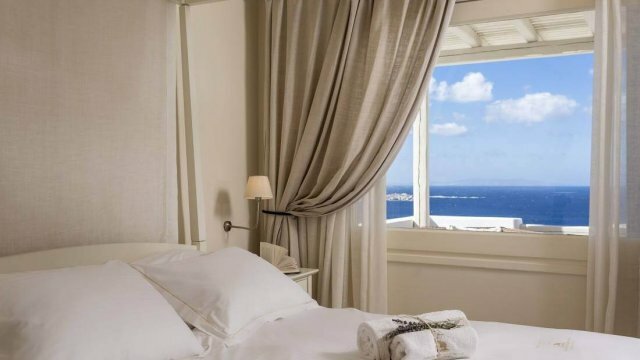 Located in a beautiful spot right above from Mykonos Chora and its famous landmarks, the Windmills, and Little Venice, Vencia Hotel stands proudly for many years offering generously its luxurious services. Looking out of your luxurious suite from your spacious terrace, there is nothing else to see than this two-tone blue line that splits the horizon in half. Two agelong elements that are here in front of you to admire. Your sweet home in the Mykonian land with all the amenities needed and all the space that you would like to feel like you are in your own familiar place. Tailor made services and a more than happy staff to help you through with all the options offered, you will have the vacation of your lifetime. © 2017-2018 Copyright by IslasdelEgeo. All rights reserved.